What format would you like information in? For example: Braille, large print, Easy English, audio disk, email. Our office hours are Tuesday 9:30-2pm, Wednesday 9:30-2pm and Thursday 1-4pm. There is an answerphone where you can leave a message at all other times. We look forward to you getting in touch! 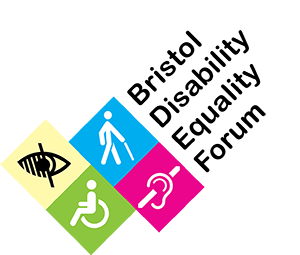 Bristol Disability Equality Forum is a Registered Charity no. 1146576. You can find out more at the Charity Commission’s website by clicking here.